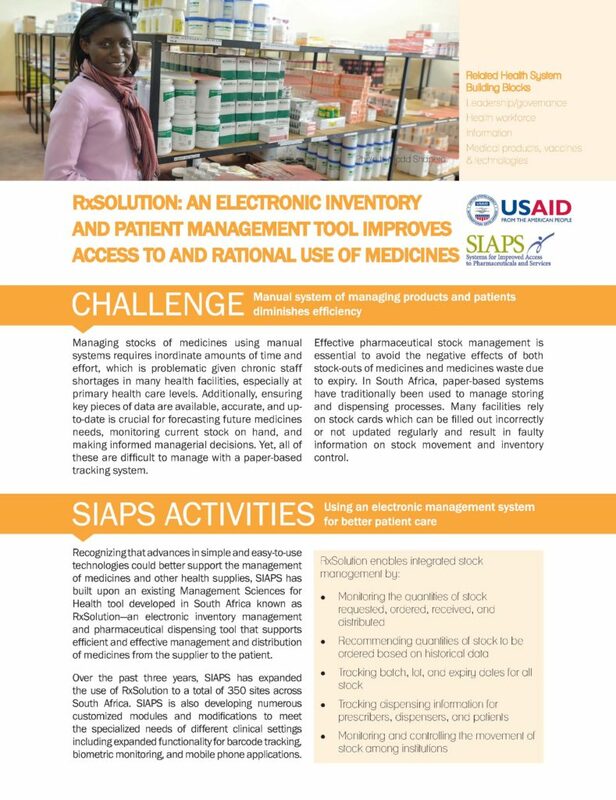 Individually each one of the case examples below describes interventions, strategies, and actions taken to deliver results in specific areas of governance, capacity building, data for decision-making, supply chain, and pharmaceutical services. 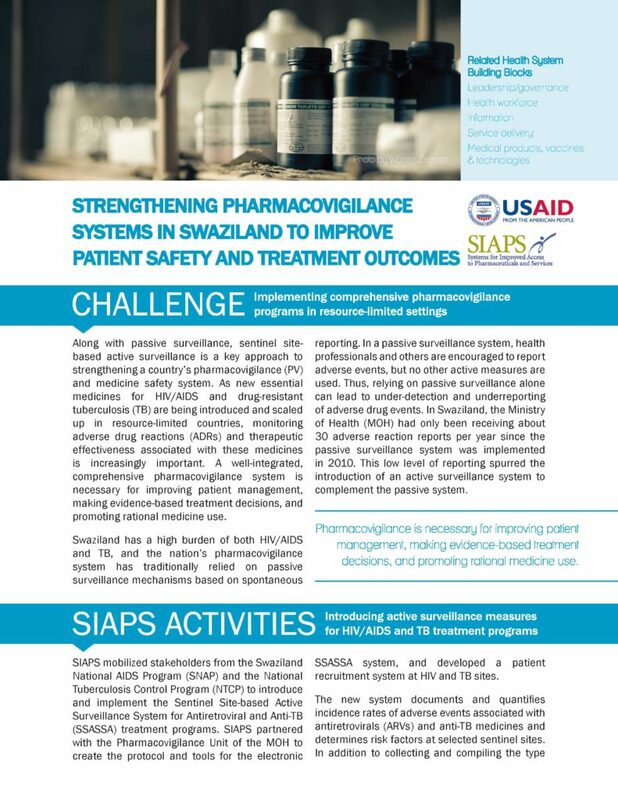 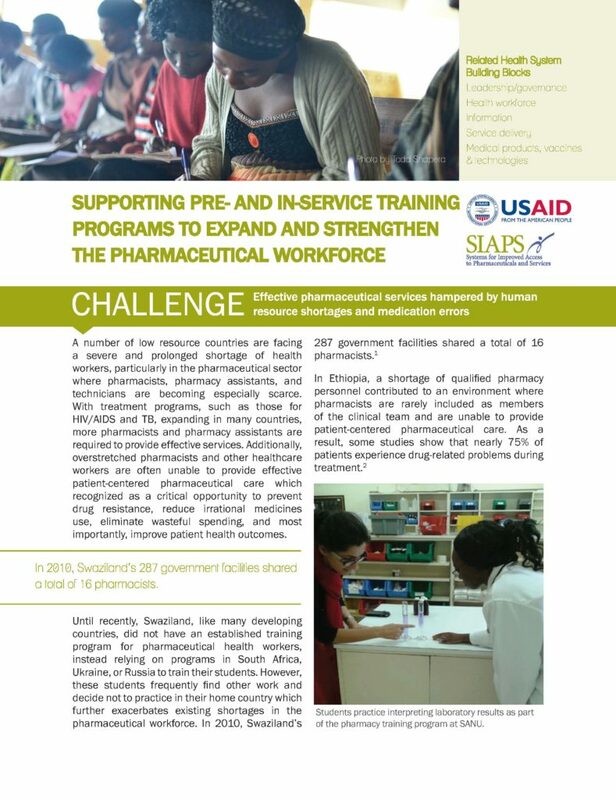 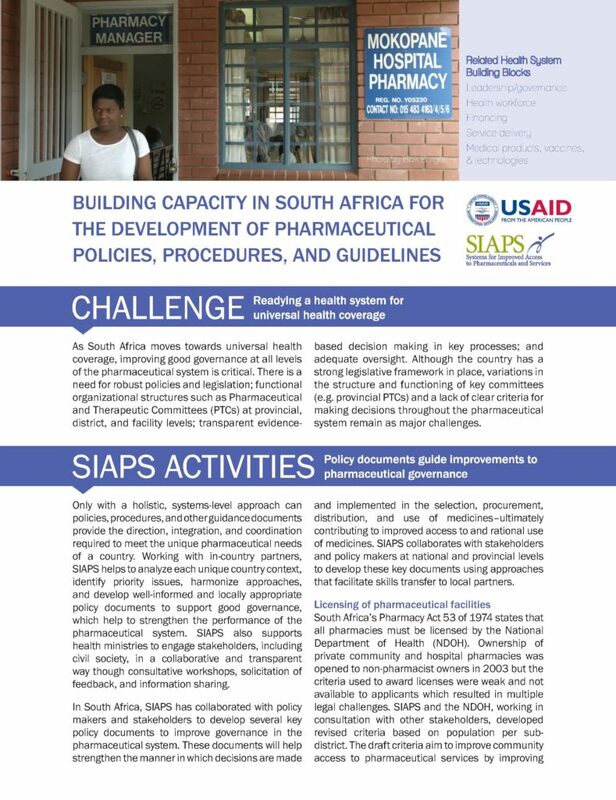 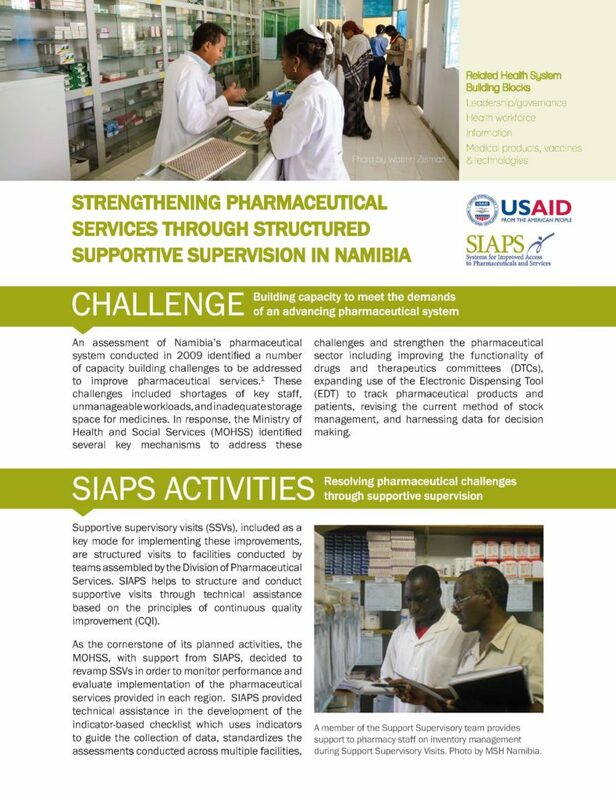 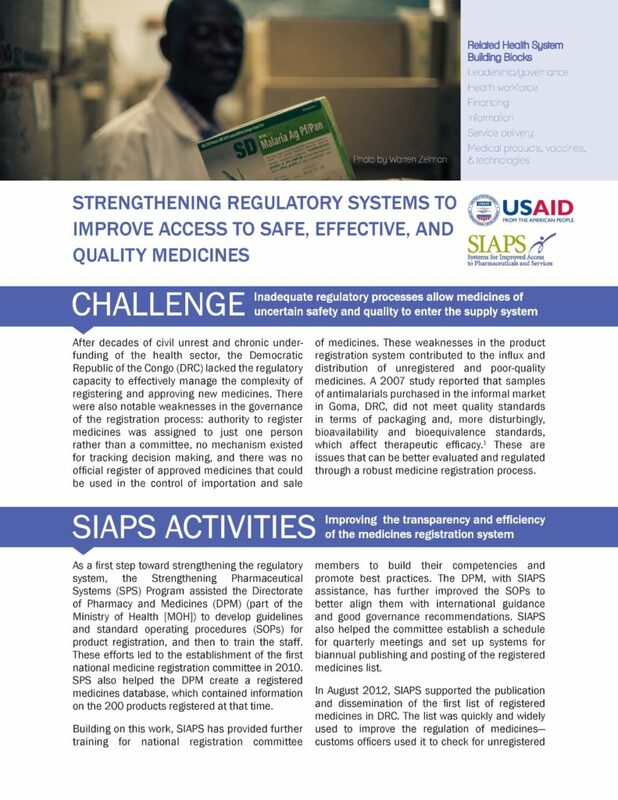 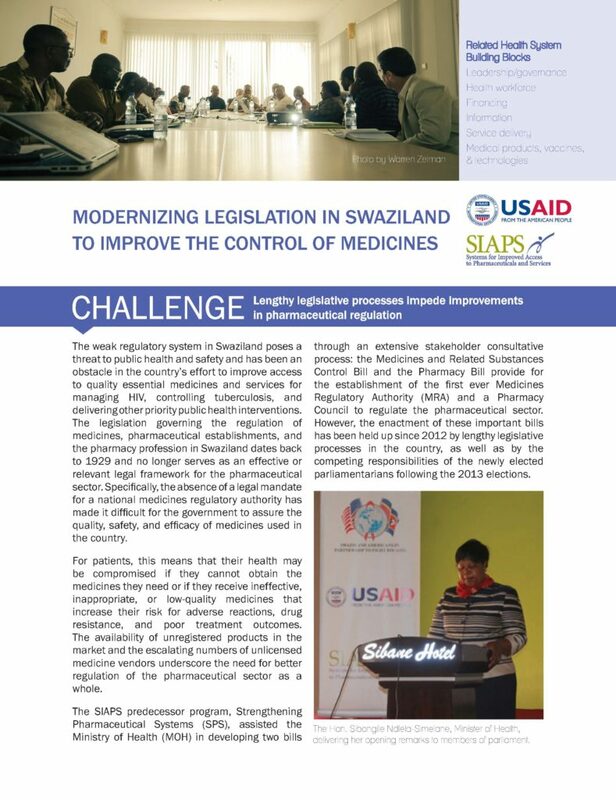 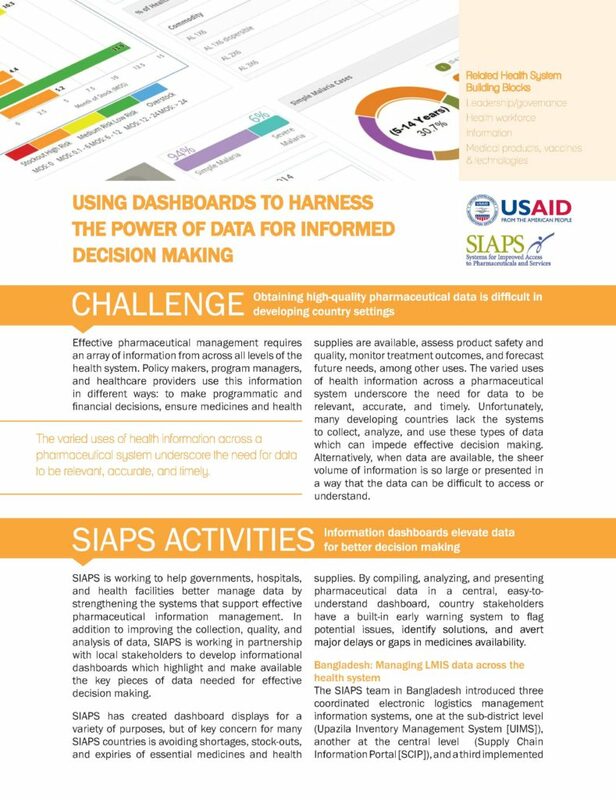 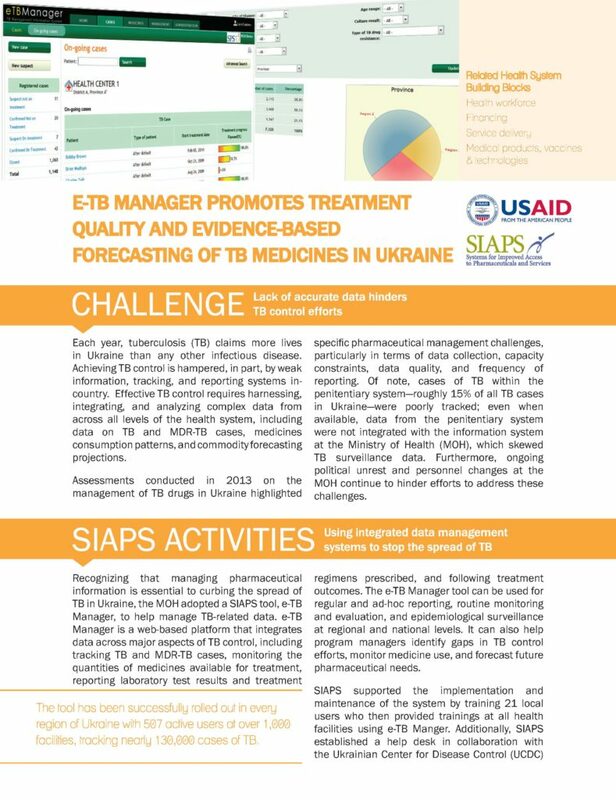 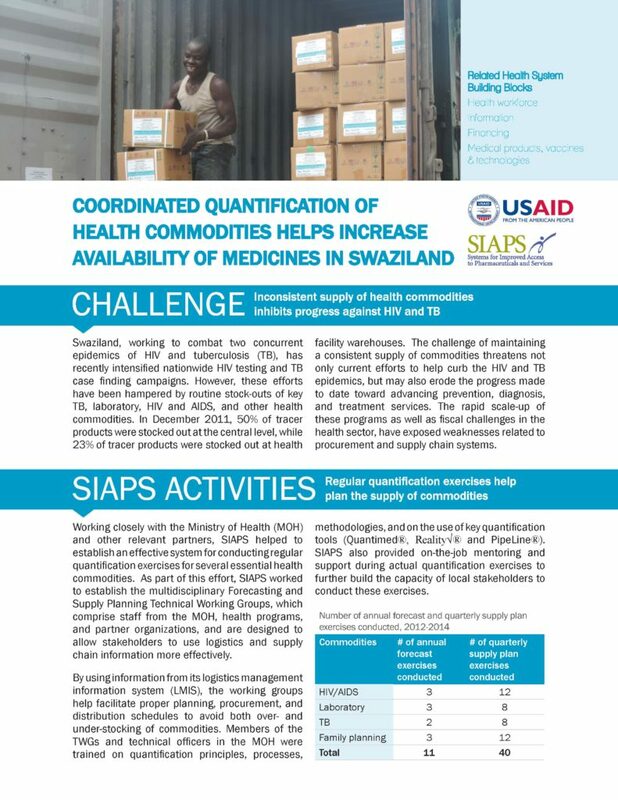 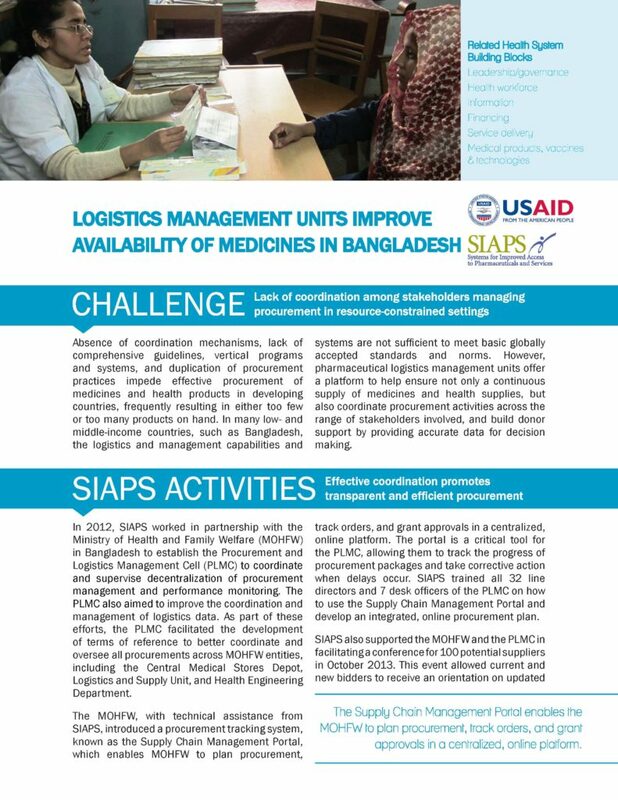 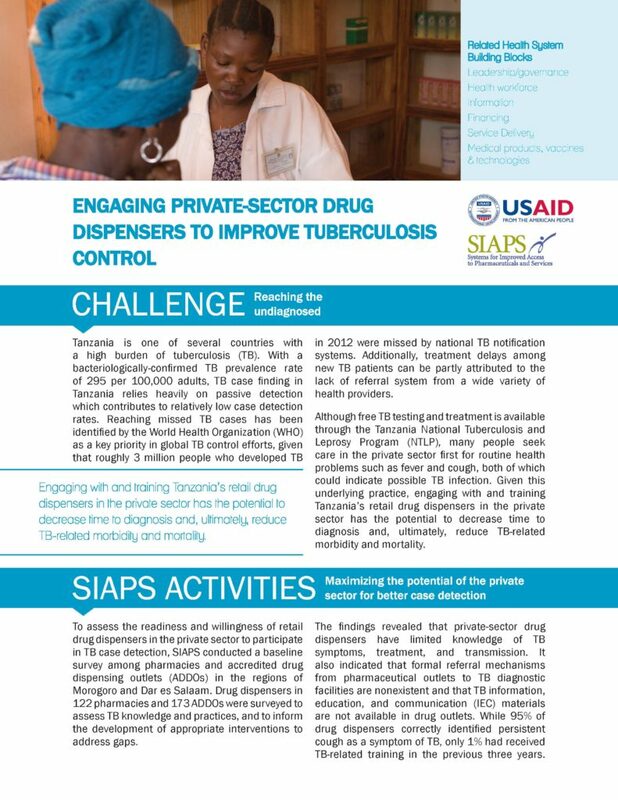 Collectively, they show the breadth of the SIAPS Program’s achievements in pharmaceutical systems strengthening. 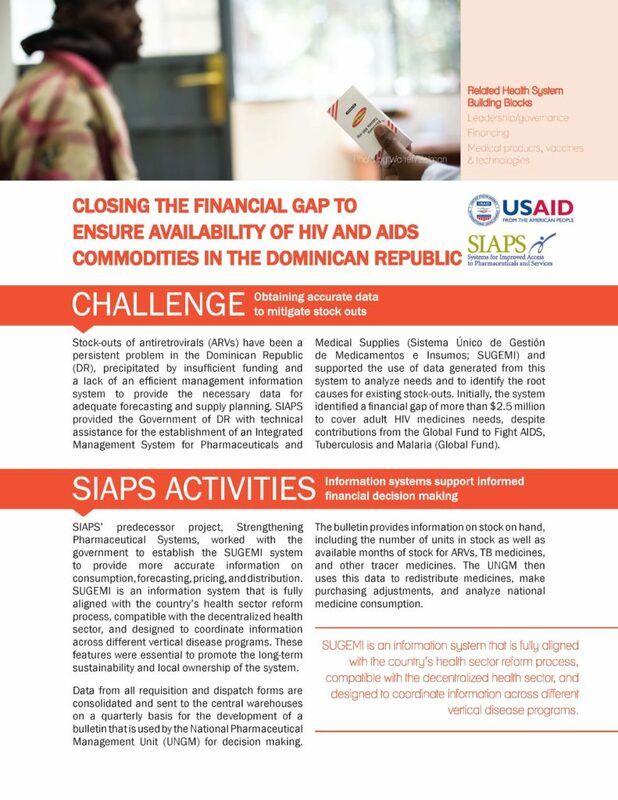 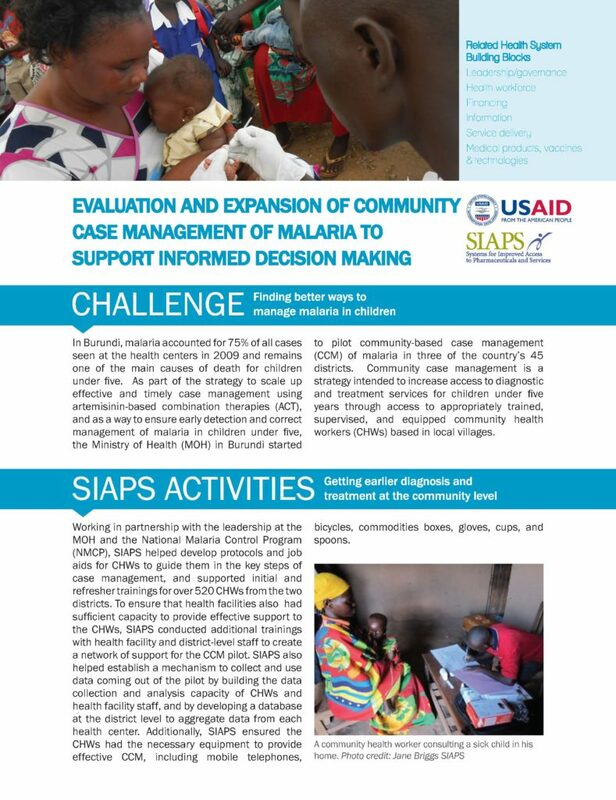 Note: These case examples were published in May 2015 in preparation for a mid-term evaluation of the SIAPS Program, which is available on the USAID Development Experience Clearinghouse (DEC). 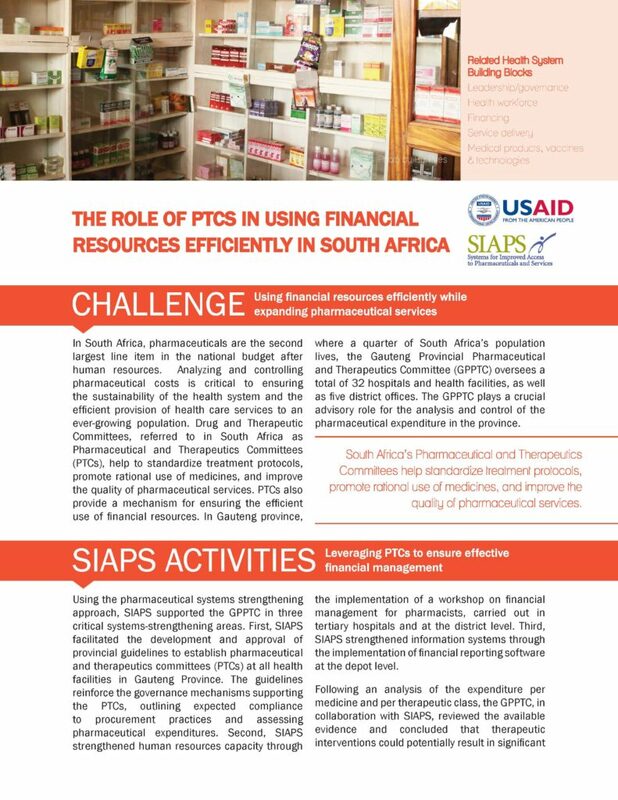 Click on the thumbnails below to read the full case examples.